Graduates serve as productive members of diverse teams, ranging from their peers to business professionals to government officials and other community members. The majority of TVHS coursework is completed through a collaborative process that teaches students how to lead, manage and support team goals. Graduates display strong interpersonal communication skills and demonstrate a commitment to shared and personal success. 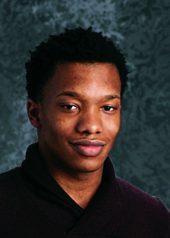 Markus Jones, Class of 2017, talks about how Tech Valley High School helped him develop collaboration skills, and why that’s so important to his future.